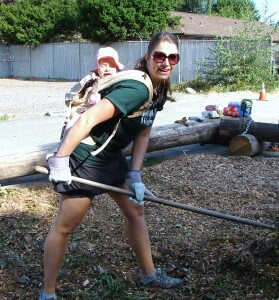 Wedgwood Community Council President Brianna McDonald had a helper at the Work Party. While we wait for park development to begin, the Wedgwood Community Council has taken initiative to make Wedgwood’s Future Park into a usable space. 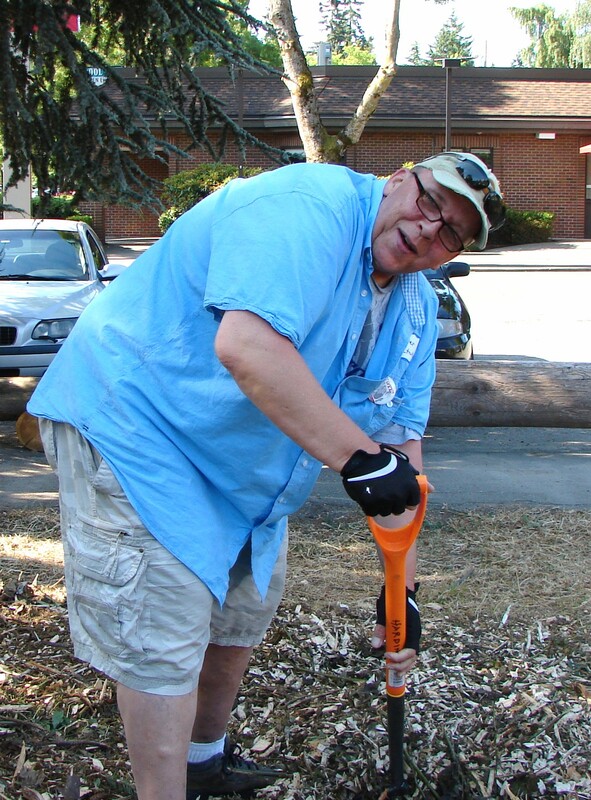 On June 27, 2015, volunteers from the Wedgwood Community Council and OneLife Church put their backs into it to create a picnic area at the corner of NE 86th Street. 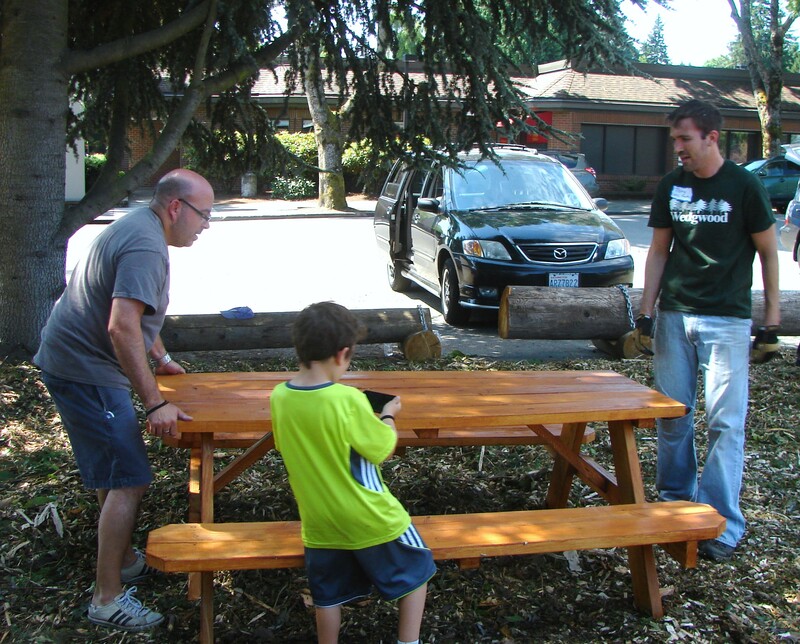 Wedgwood Community Council trustee Gordon Dass Adams submitted the application for a neighborhood matching grant to Seattle’s Department of Neighborhoods, for this picnic area in the center of the Future Park. 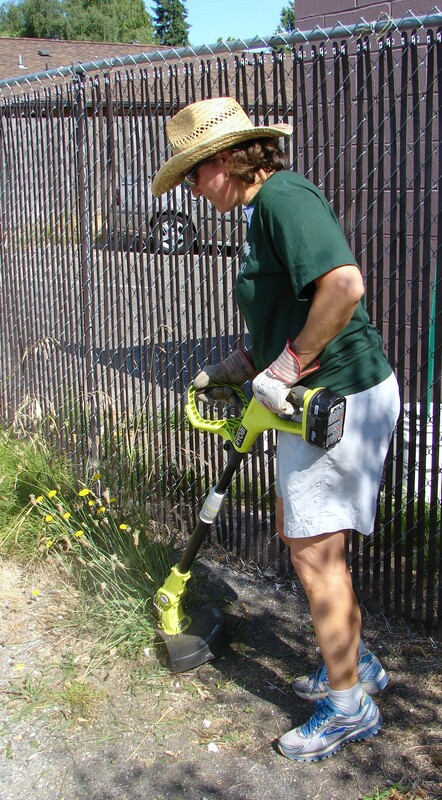 The community council is making efforts to get a food truck for the site. Our thanks to the volunteers from Wedgwood Community Council and OneLife Church. 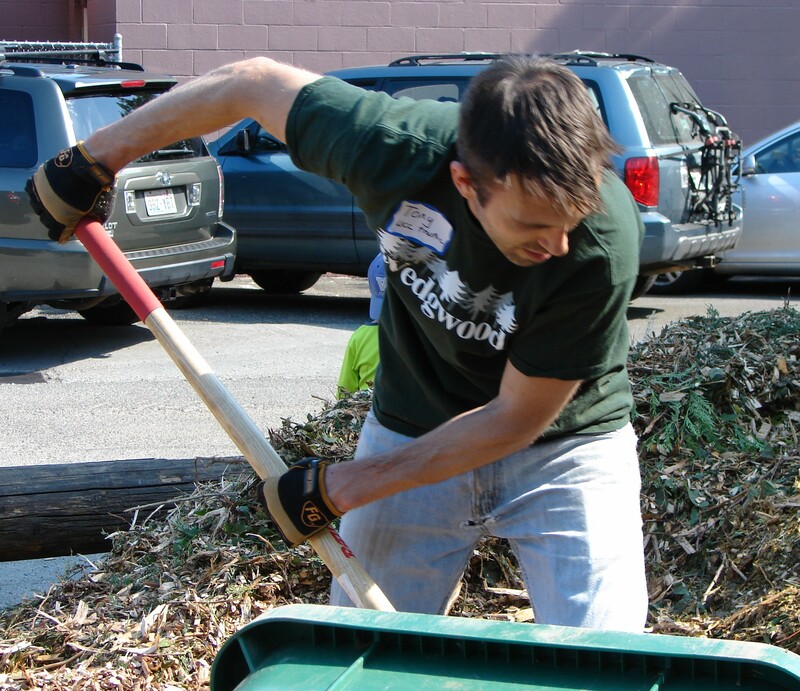 Despite the prospect of sore backs, arms, and shoulders from shoveling wood chips and hoisting picnic tables into place, all the volunteers can have the satisfaction of knowing that they helped to build our community. Picnic tables are now in place at Wedgwood’s Future Park. Wedgwood Community Council trustee Tony Frego coordinated the supplies needed for the Work Party. 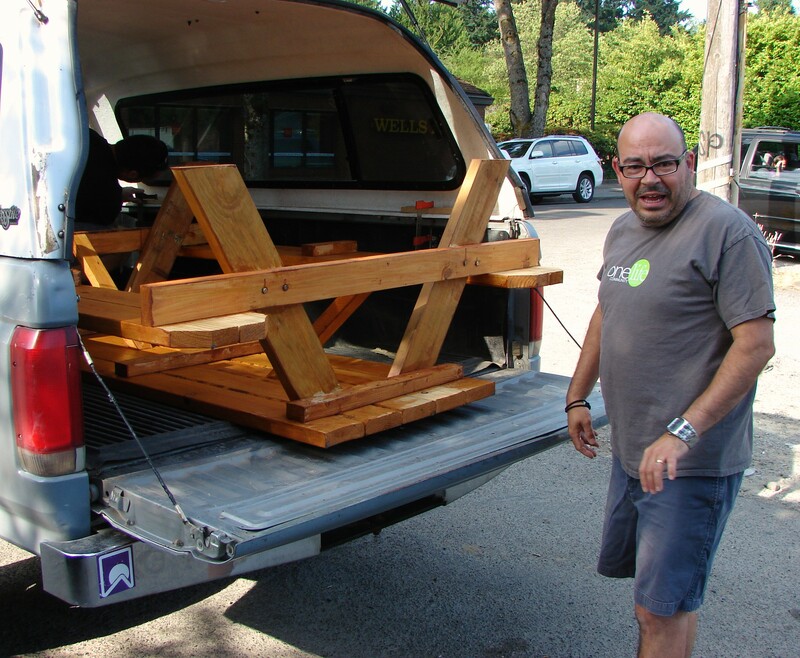 Pastor Rich Sclafani of OneLife Church arranged to obtain picnic tables and bring them to the site. 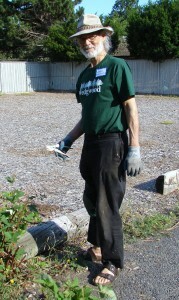 Wedgwood Community Council Gordon Dass Adams wrote the application to grant funding for the Picnic Place. Wedgwood Community Council volunteer Peter Zimmerman gets into shoveling. 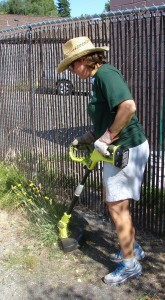 Weed removal and general clean-up was done by volunteers including Wedgwood Community Council trustee Gretchen Bear. Thank you so much WCC! I love the picnic tables.